Hydraulic Belt Embossing Machine with plane working area, allows embossing different customized designed patterns by customized moulds. Honggang belt embossing machine has two models, both are 120 tons, but different in working length of 1350mm and 1600mm. 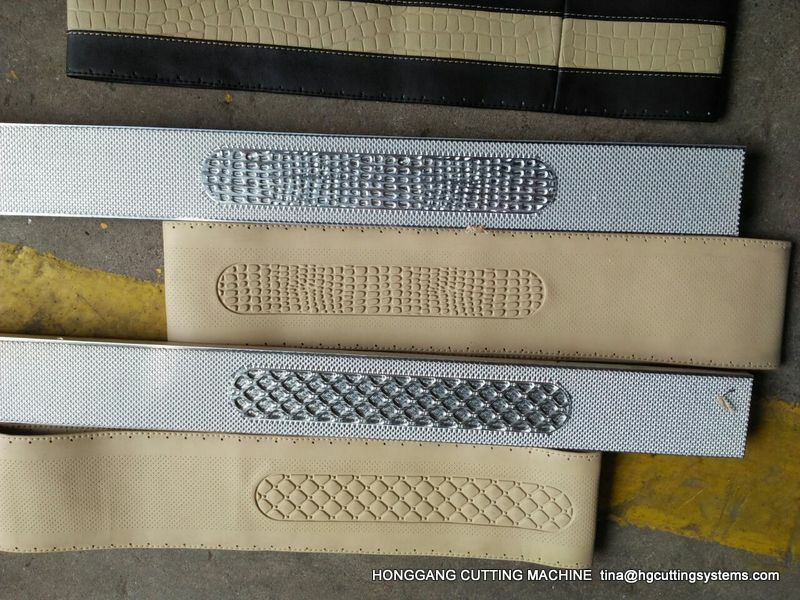 These two models are settled as standard type according to Honggang 20 years experience, as they can meet all belt embossing manufacture needs. 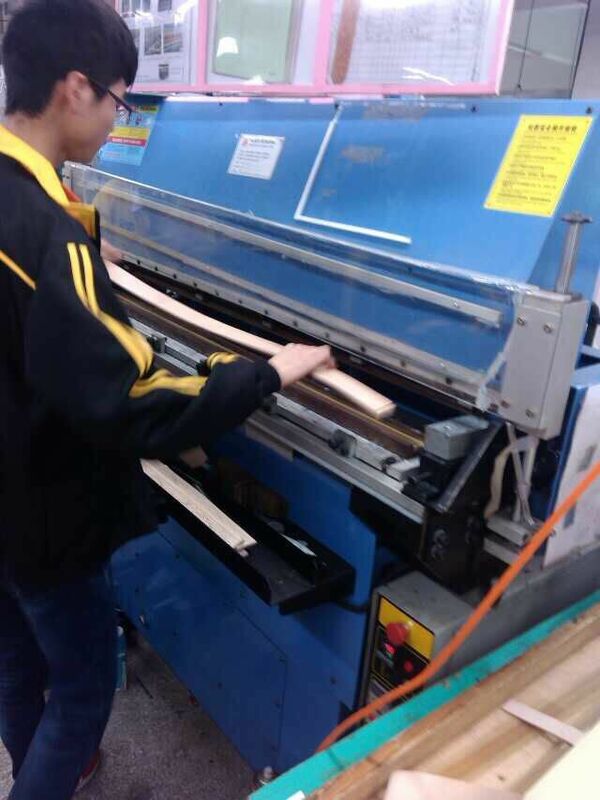 Application mateial: Leathe, EVA, PU, PVC,etc belt products. 1) Hydraulic pressing+Heating Embossing, both function work together; and you can select only function when working. 2) Both pressure and temperature can be adjust according to production needs. 3)Pressing and heating time can be kept for 0.1 second to a few minutes. 4) Heating temperature can be controlled. 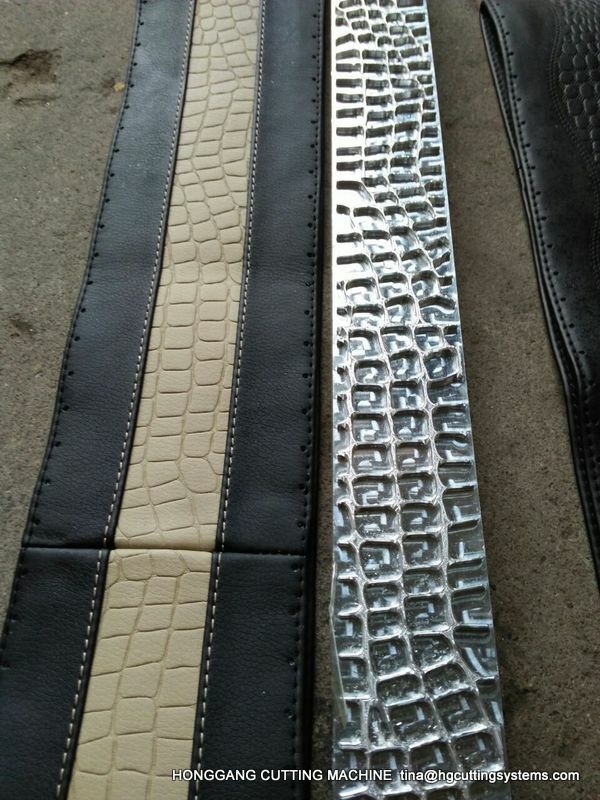 6) Allowing to emboss different patterns to one belt by a customized mould. Honggang factory is the biggest factory to manufacture this kind of hydraulic embossing machine, including leather sheet embossing machine, leather belt embossing machine. Please feel free to send us inquiry or advice to tina@hgcuttingsystems.com for more info.